Over 30 years of excellence in the Tri-State Area. Whether you are remodeling or renovating your home, our windows deliver unmatched beauty and state-of-the-art performance for energy savings, reduced maintenance and a more comfortable home. We strive for an unequaled product, price, and professionalism in every job we complete. Our goal is to deliver an unrivaled experience to the customer through personable employees and excellent craftsmanship. We are a family owned and operated business with over 30 years of experience. We have experienced consistent growth in our business through the natural process of hard work and satisfied customers. Through many years of continually focusing on our products, pricing and professionalism allow us to offer our customers a unique combination. We will offer you not only the best product, but the product knowledge to be completely comfortable in your decision-making process. Each step from initial contact to product presentation, installation, and extended service is where our service initiatives are constantly focused. With every passing year, we more deeply appreciate that our customers’ satisfaction and our success is one in the same. 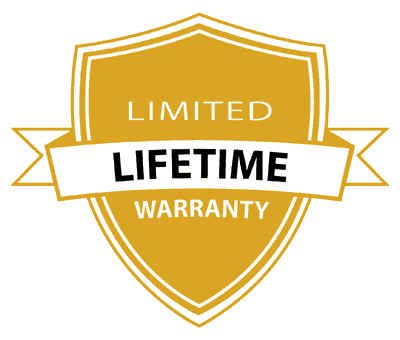 Extended Labor Warranties Available. Contact Us for more details.